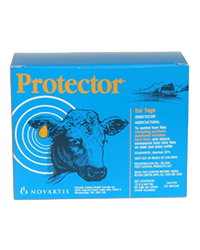 Agriculture Inseticide: To control horn flies (including synthetic pyrethroid resistant horn flies) and reduce annoyance from face flies on beef and dairy cattle. 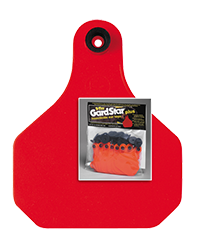 General Information: Used as directed, Protector Ear Tags will provide season-long control of horn flies and will reduce annoyance from face flies. Significant gains in weight and milk yield can be achieved with Protector. 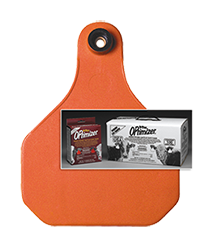 This tag contains an active ingredient from the organophosphate family and is designed to control horn flies and reduce annoyance from face flies that may already be resistant to the synthetic pyrethroid family of insecticides. Agriculture Inseticide: To control horn flies and reduce face flies on beef and dairy cattle. General Information: Used as directed, Eliminator? 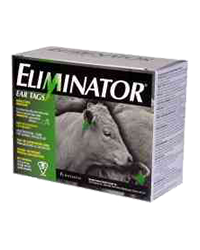 Ear Tags will provide season-long control of HORN FLIES and will reduce populations of FACE FLIES. Significant gains in weight and milk yield can be achieved with Eliminator?. Adequate control of FACE FLIES may reduce pink eye infections. This tag contains active ingredients from two different insecticide families and is designed to control the HORN FLIES that may already be resistant to one insecticide family.